Last week I shared with you some fun Night At The Museum activities for your kids to get creative with. Now I'm back with a review of the Night At The Museum 3, Secret of The Tomb. This comedy adventure is the third installment in an already fantastic set of films. Loveable characters are back and ready for the museum to come back to life again. 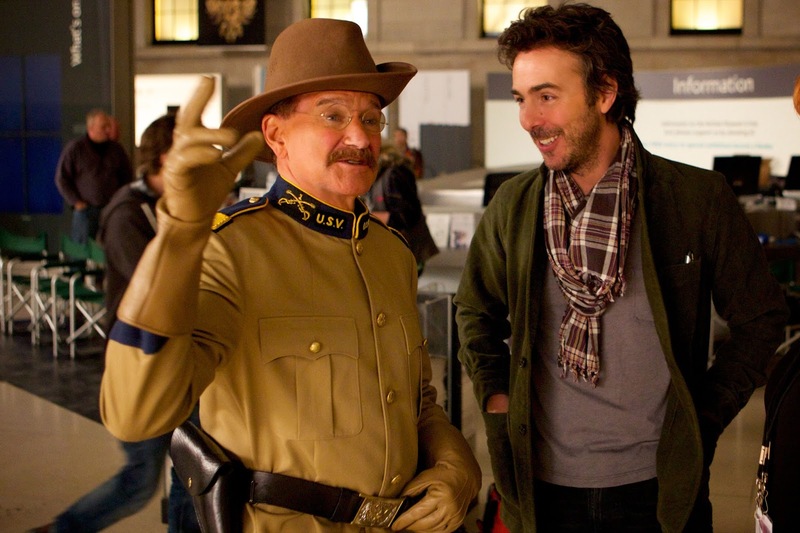 Set in London you will see an array of recognisable celebrities including Steve Coogan and Ricky Gervais. This hilarious family film had myself and the rest of my family laughing out loud continually and it was lovely to see Robin Williams still on the big screen!! I really loved it because at the beginning the monkey peed on a man and in the middle he peed. I was scared if the two little men would burn in the lava BUT monkey put it out doing it's business again. They shoudn't of jumped down the drain because it takes you into pompay aaaaahhhhh. It was a mystery if they got the magic pad back from the mean knight because he snatched it from them. It was funny because the knight's nose was melting because it got set on fire ha ha ha ha ha ha ha ha ha ha. I thought it was sweet when cave man fell in love with the police lady. At the end when they saw each other, the police lady ran to the cave man and danced with him and the cave man carried her up in the air and all the other cave men fell in love and never took their eye's off of her and all the people had a party and had lots of fun. I think other children should watch it i really enjoyed it. Night in a museum was a touching and suspense filled family movie. I loved watching it, it was humorous and adventurous. I can't even decide wich bit was my favourite! However my favourite character was definitely Dexter the monkey, he was so funny! My final verdict, absolutely loved it! 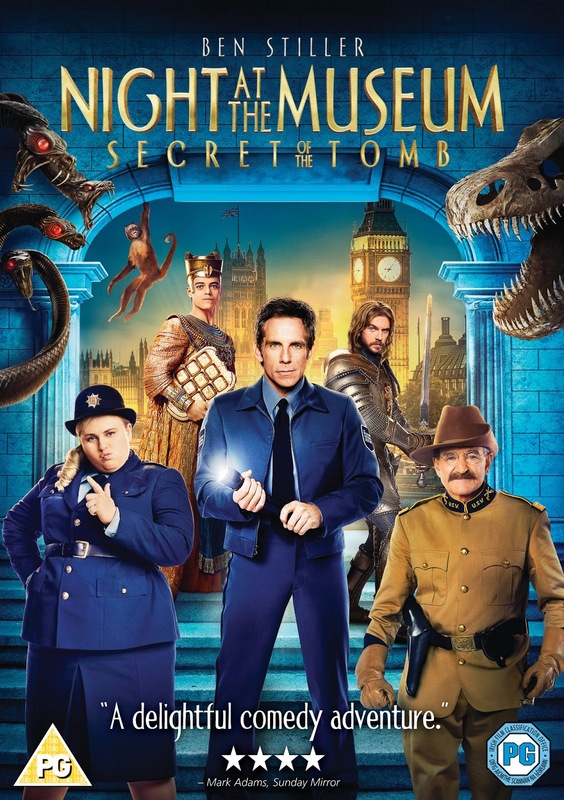 Night At The Museum 3, Secret of the Tomb, gets a big thumbs up from us. Disclaimer : we were sent this dvd FOC however all thoughts and opinions are our own. BP wants me to get this movie, he's watched the others and loved them! Great review!